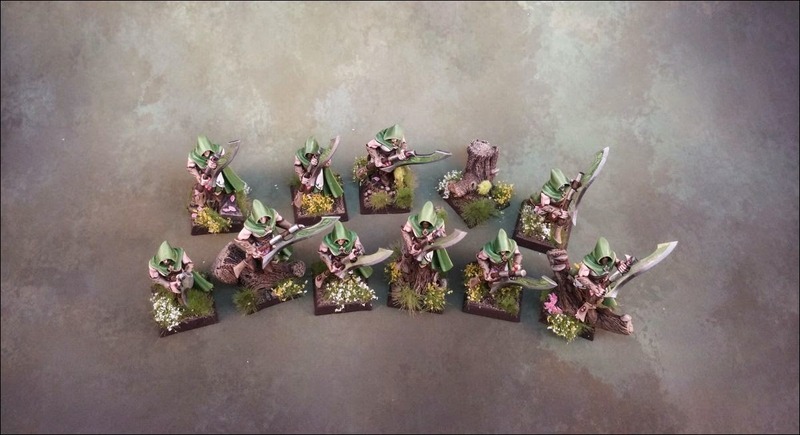 I have finally finished the first batch (11) of my Wood Elves Wildwood Rangers of the Cherry Blossom Grove. 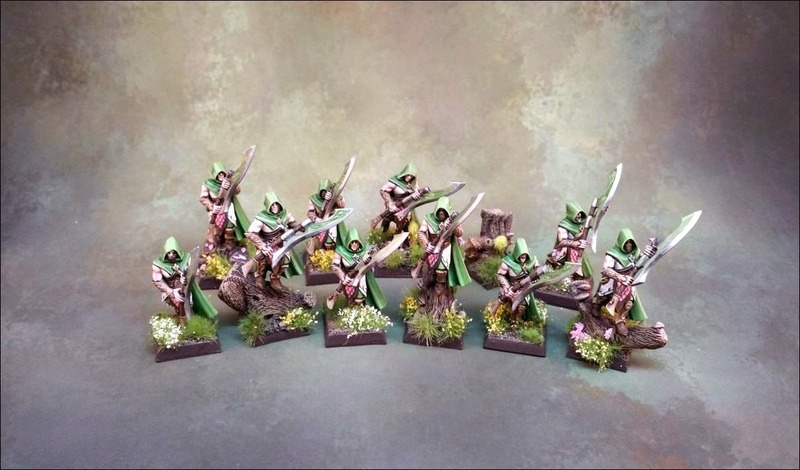 Although they are fun models to paint, a unit of 30 models is always a pain, especially when you need to hurry because of coming tournaments. 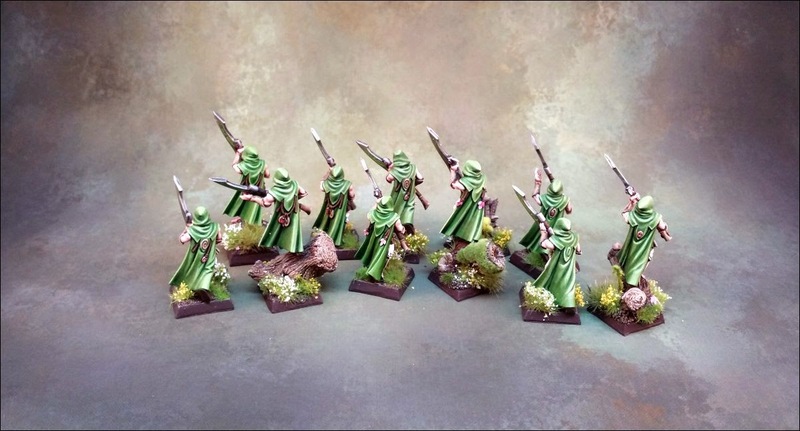 Zumindest bemalt noch jemand Warhammer Minis ^^ Was machen deine Schatten-Elfen? They look gorgeous. I'm very impressed. The bases are amazing. 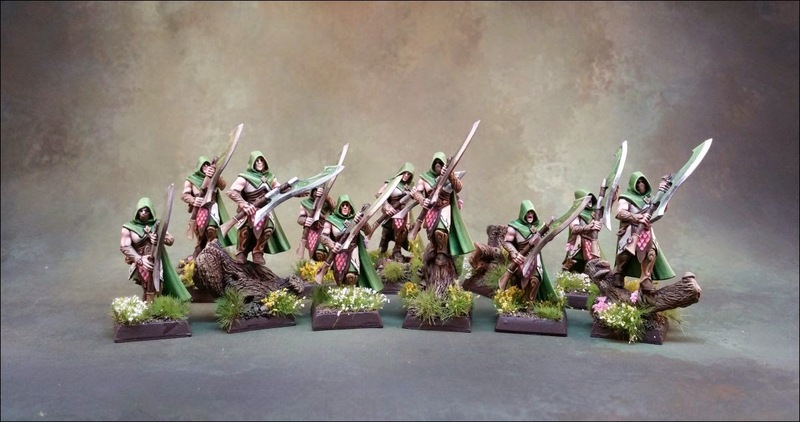 Your army really looks fantastic! If you would ever consider selling it, i could provide it with a good home.